Doilies aren’t just for grandma’s house anymore! 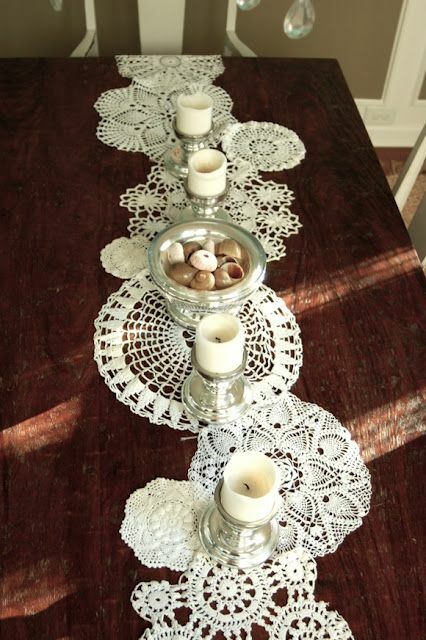 Check out these adorable doily decor ideas that will add a touch of vintage to your home! Vintage doilies can be used to decorate tonnes of things around your home, and they’re making a big comeback! 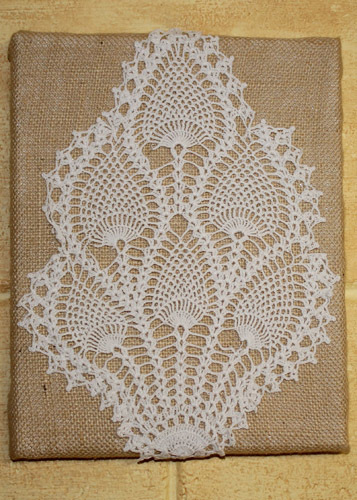 Decorate pillows, table runners, or bowls with doilies for that delicate vintage look. We’ve got 7 adorable doily ideas that look great and won’t break the bank! These bowls look just like crowns, and you can use them to hold jewellery or as a candle holder. 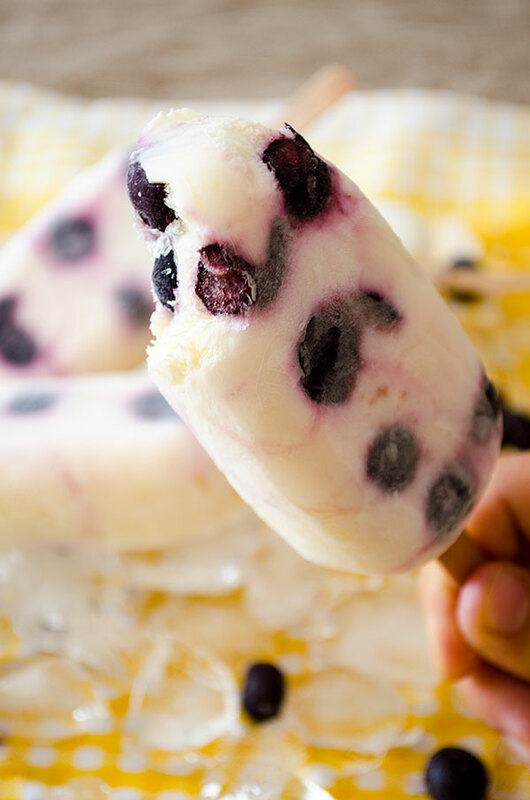 They’re easily made using starch! Tutorial here. Stitch a few doilies together to create a one-of-a-kind table runner. This would look great at a vintage-themed wedding! Add white candles in mercury glass candle holders to complete the look. Display your vintage doilies by hanging them on your wall. Simply wrap a canvas in burlap, and glue on the doily. This also makes a great gift! Tutorial here. 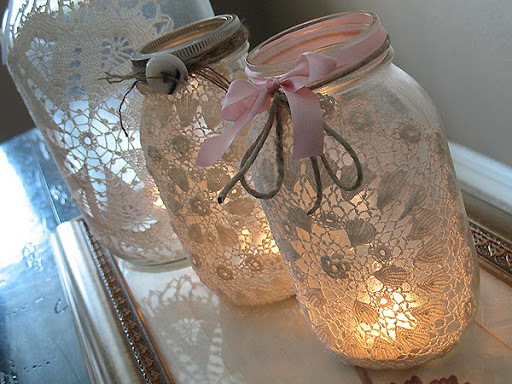 These doily luminaries are so cute! Simply use spray adhesive to attach the doily to the jar and decorate with ribbon, buttons, and twine. Tutorial here. 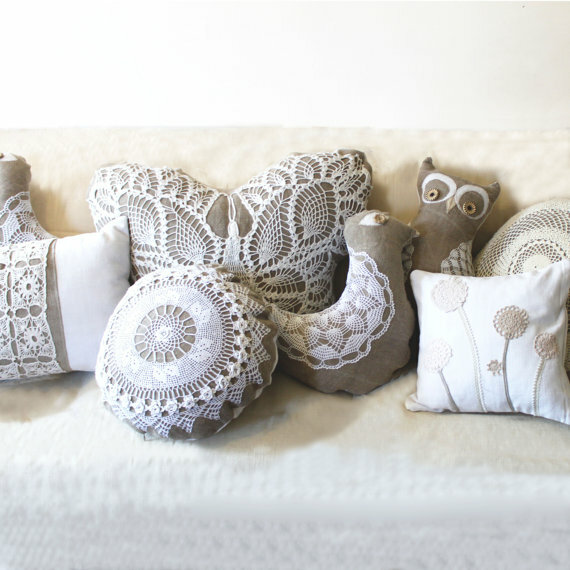 Attach doilies to pillows by stitching them on, or using fabric glue. 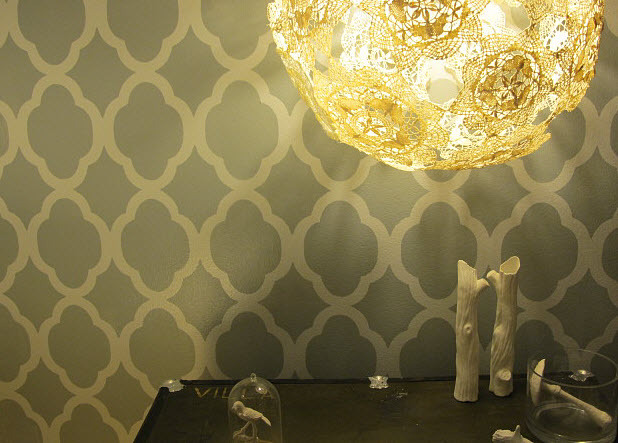 Use contrasting colors to make the delicate doily patterns pop. This lamp only looks expensive, but you can make it for cheap! 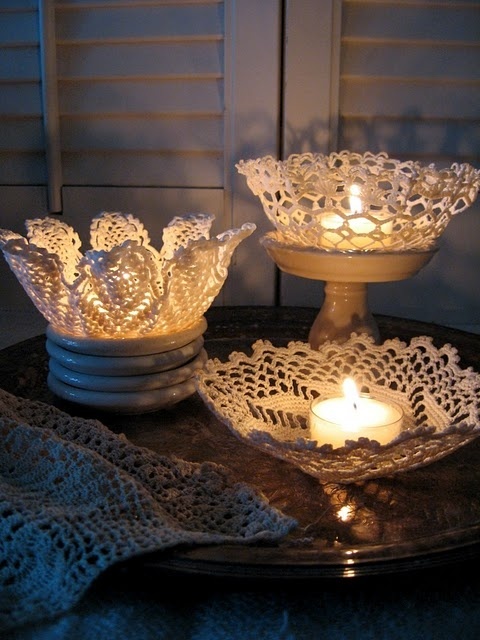 Follow along with this easy tutorial to make your own doily lamp! Tutorial here. 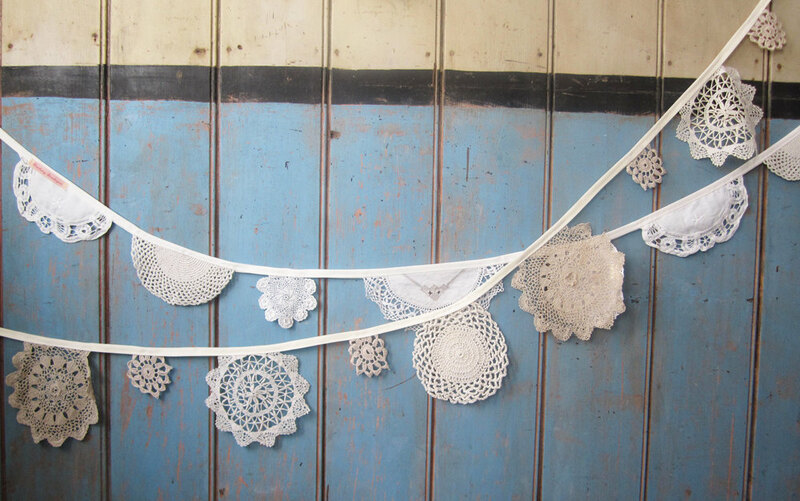 Decorate your home with this adorable doily bunting! 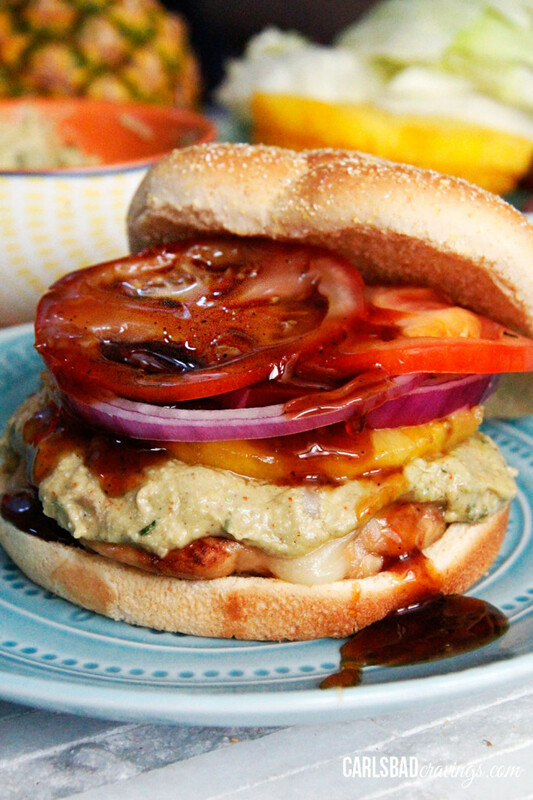 Hang it up on your mantle, or use it at your next outdoor party! Photos: Time Washed, How To Set a Table, The Happy Housewife, Crafts by Amanda, Grains of Earth, Handmade Ology, Stirling Design.